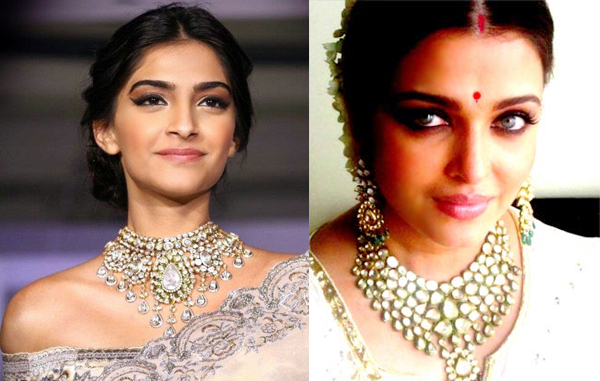 This news shocked fans all over, as ‘Neerja’ star Sonam Kapoor has replaced former beauty Aishwarya Rai Bachchan as the brand ambassador for a leading jewellery company. Aishwarya was the face and strong associate for Kalyan Jewellers for the past three years and soon it will be taken over by Sonam. Ramesh Kalyanaraman, Executive Director, Marketing and Operations said, "We would like to thank Aishwarya Rai Bachchan for augmenting the product propositions of brand Kalyan over the last 3 years and helping Kalyan establish itself as a leading national brand. We welcome Sonam Kapoor and are confident that her status as a style icon and popularity will strengthen future product campaigns of Kalyan Jewellers." Sonam will soon endorse Kalyan’s exquisite range of gold and diamond jewellery. Amitabh Bachchan and his wife Jaya will continue to be the ambassadors for the leading jewellery chain. While the company's other brand ambassadors are Nagarjuna, Prabhu, Shivaraj Kumar and Manju Warrier.